Summary: Researchers report, in animal models of addiction, daily aerobic exercise alters the mesolimbic dopamine pathway in the brain. 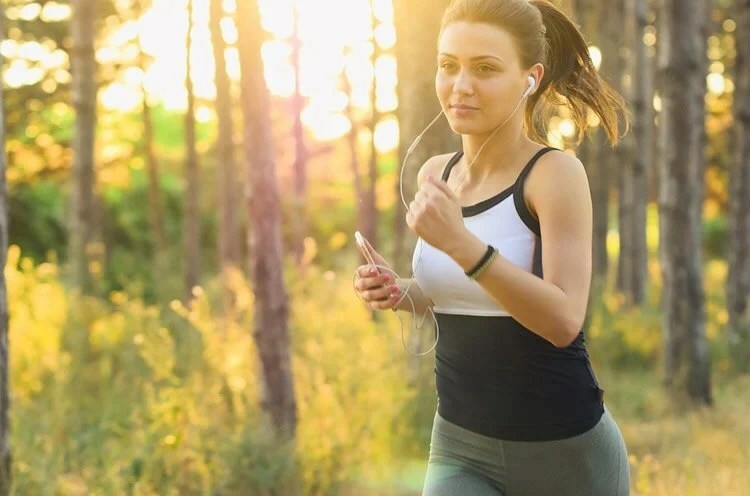 New research by the University at Buffalo Research Institute on Addictions has identified a key mechanism in how aerobic exercise can help impact the brain in ways that may support treatment — and even prevention strategies — for addiction. Daily aerobic exercise altered the mesolimbic dopamine pathway in the brain. NeuroscienceNews.com image is in the public domain. Funding: The current study was funded by the NY Research Foundation and appears in the online edition of Medicine & Science in Sports & Exercise. The article authors include Lisa S. Robison, PhD, a former graduate student of Thanos, of the Department of Neuroscience and Experimental Therapeutics, Albany Medical College, Sabrina Swenson, postbaccalaureate fellow, John Hamilton, graduate student, and Thanos, of the Behavioral Neuropharmacology and Neuroimaging Laboratory on Addictions (BNNLA), Research Institute on Addictions and Department of Pharmacology and Toxicology, Jacobs School of Medicine and Biomedical Sciences. Original Research: Abstract for “Exercise Reduces Dopamine D1R and Increases D2R in Rats: Implications for Addiction” by Robison, Lisa S.; Swenson, Sabrina; Hamilton, John; and Thanos, Panayotis K. in Medicine & Science in Sports & Exercise. Published April 2 2018. University at Buffalo “Exercise Helps Treat Addiction by Altering Brain’s Dopamine System.” NeuroscienceNews. NeuroscienceNews, 27 May 2018. University at Buffalo “Exercise Helps Treat Addiction by Altering Brain’s Dopamine System.” http://neurosciencenews.com/exercise-dopamine-addiction-9150/ (accessed May 27, 2018). Introduction Exercise has been shown to be effective for preventing and treating substance abuse in both clinical and preclinical studies. Less is known, however, regarding the underlying neurobiological mechanisms driving these changes in drug-seeking behavior. One possibility is that exercise may alter the mesolimbic dopamine pathway in such a way that makes drugs of abuse less salient and/or rewarding. Methods To examine possible exercise-induced changes in dopamine signaling, male and female Lewis rats were split into exercise and sedentary groups at 8 weeks of age. Exercise rats were run on a treadmill at 10m/min, five days per week, for six weeks, while sedentary rats remained in their home cage. Rats were euthanized following the 6 weeks of treatment, and their brains were used for in vitro autoradiography using [3H]SCH 23,390, [3H]Spiperone, and [3H]WIN55,428 ligands to quantify D1R-like, D2R-like, and dopamine transporter (DAT) binding, respectively. Results Exercised rats had 18% and 21% lower D1R-like binding levels compared to sedentary rats within the olfactory tubercle (OT) and nucleus accumbens shell (AcbS), respectively. In addition, male and female exercise rats showed greater D2R-like binding levels within the dorsomedial (DM CPu; 30%), ventrolateral (VL CPu; 24%), and ventromedial (VM CPu; 27%) caudate putamen, as well as the OT (19%). Greater D2R-like binding in the nucleus accumbens core (AcbC; 24%) and shell (AcbS; 25%) of exercised rats compared to sedentary rats approached significance. No effects were found for DAT binding. Conclusions These findings support the hypothesis that aerobic exercise results in changes in the mesolimbic pathway that could mediate exercise-induced attenuation of drug-seeking behavior. Если Вас интересуют определённые подробности по каким то темам, можете обратиться с вопросами специалистов ко мне по электронной почте. Я могу выслать свои статьи по вопросам медицины, состава человека, генетической информации и тд или ответить более подробно отдельно. Возможно упражнения и помогают, господа, проблема наркомании лежит в сознании человека!!! Это прежде всего сознание клеток материи головного мозга и 30 основных молекул ДНК, сосредоточенных в трёх железах…шишковидной, каротидной и щитовидной. Эндорфины удовольствия разрушаются применением технологий с использованием разрушений нулевых точек сознания и материи вредных веществ , попавших в организм. Здесь кроме прочего, существует социальный аспект…уход человека от проблем. Поэтому вопросы развития и совершенствования сознания общества, может снизить риски потребления наркотиков. I used to be addicted to opioids. This article has inspired me to do aerobic exercise! I am so glad that this is the beginning of the summer; I will do water aerobics every day. Thank you for inspiring me!